Two years ago, Adam and I booked a last-minute trip to London. It had been a bucket-list destination of mine for as long as I could remember, and Adam had the itch to explore a new country for Spring Break. While we typically save our money for trips like this vs. material things, budget was still on the brain as we were both in school with various expenses. Being the Leslie Knope of travel that I tend to become when planning a vacation, I went to work to see how we could check everything off our list while saving money. London has such a vast array of interests and sights to see, we wanted to get as much done as possible in the week we were there without breaking the bank. 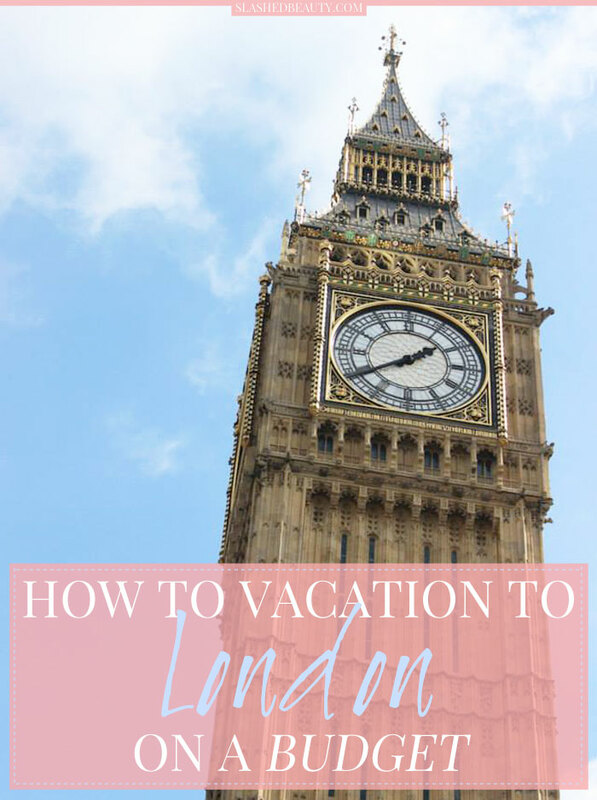 Keep reading for my best tips on how to vacation to London on a budget from our experience. Most of my tips are based on a trip for two, but you can definitely utilize these if you’re doing solo travel or a larger group as well. In terms of booking your flight and hotel, I always find bundling the two on sites like Travelocity and Priceline will get you the best deals with the most convenient service. Our airline tickets and hotel were bundled into a neat price of $1550 per person for a 7-night stay. 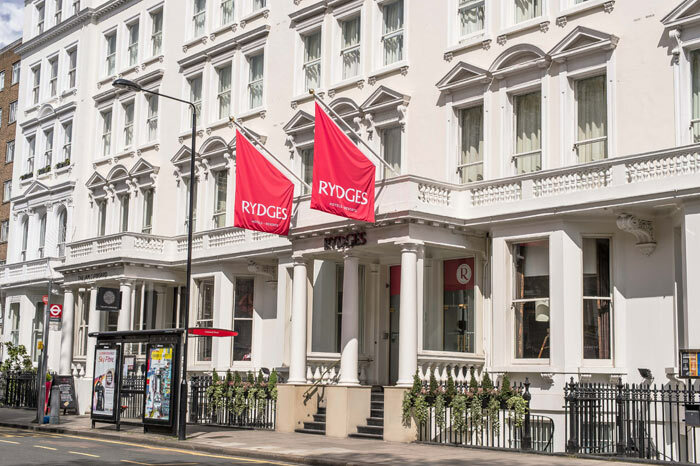 We flew American Airlines, which offers a free checked bag and in-flight dining for international flights, and stayed at the gorgeous Rydges Kensington Hotel. It was in a nice area on the West End near Kensington Palace, the Natural History Museum, the Science Museum, and more. It was also literally across the street from the Gloucester Road tube station, which made transportation a breeze. The rooms were large, even by American standards— we had been told to expect smaller rooms across the pond. The Executive King Room came with our travel bundle, which had a king bed, a desk/entertainment area, and a large bathroom with a waterfall shower. We had plenty of space to spread out and unpack our things. Because we weren’t staying smack dab in Central London, the area was quiet. This was great for recuperating from days of jam-packed activity. The free WiFi also made it easy to stay connected during our trip. We flew into Heathrow Airport, and found that the quickest way into the city was the Heathrow Express, a train that leads you straight to the Paddington rail and tube station without any stops (about a 15 minute ride). The tickets range from £22-£25 per ticket. 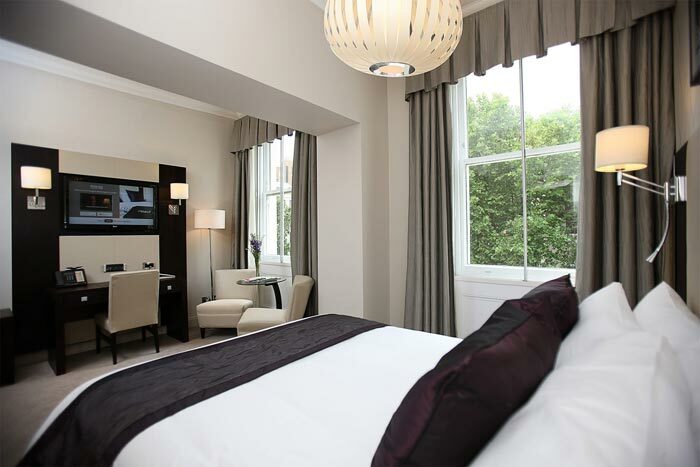 However, if you book 14-30 days in advance, you can get it as low as £18. There are also discounts for buying in advance for Bank Holiday travel— we arrived on Easter and our tickets were £16. READ MORE: See what I packed in my carry-on bag for this trip! The Oyster Card: a prepaid and refillable card that is quick and easy to scan at the station. You are charged less than single ride tickets if you were buying them separately, but are still subject to peak/off peak hours price changes. There are no zone restrictions— as long as you have the fare loaded, you can get where you need to go. The Travelcard: a flat-fee card available for 1-day or 7-day transport that will get you unlimited travel to your choice of city zones. The more zones you want to access, the more expensive. However, it is valid on buses all over London, regardless of zone. 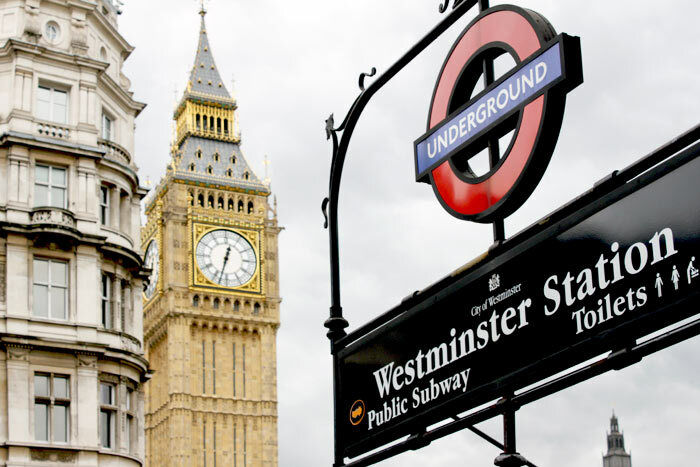 We chose unlimited travel to Zones 1-2 (the cheapest option), because it covered almost all of central London, where most of the tourist sights are. Since we were staying a full week with plenty of tube rides in store, this ended up being the more economical choice for us at £32.10 per person. We also felt better knowing we didn’t have to monitor how much money was loaded onto our card each day. Trips less than a week with only 2-3 rides per day may save more with the Oyster Card. However, choosing the Travelcard will unlock savings at different attractions and restaurants, which we’ll get into later in this post. Remember: Children under 11 travel free. Getting around London by Tube is extremely easy. They often make announcements at every stop for what attractions are nearby. To make things more simple, download the free app called Tube Map London Underground. This is the most brainless way to take the tube without getting confused. You put in the station you’re starting from (or a landmark closeby) and punch in what station you want to get to (or what landmark you want to see). It will give you the exact trains to take, any transfers, and an estimated travel time. It made getting around so much simpler. It even worked without service so when you’re down in the station, you could access the route directions. In the previous section, I mentioned that there are extra special benefits to choosing a Travelcard as your method of transportation. If you’ve purchased a Travelcard for getting around, you’re also eligible for 2-for-1 deals around London. This is perfect if you’re traveling in a pair, as you can access the most famous tourist attractions, eat at restaurants, and see shows together while only paying the fare for one person. For attractions that aren’t eligible for the 2-for-1 deals, purchasing tickets ahead of time online will save you a few pounds. If you have valid student IDs of any kind (from any country), purchasing student tickets online will save you even more money. Warner Bros. 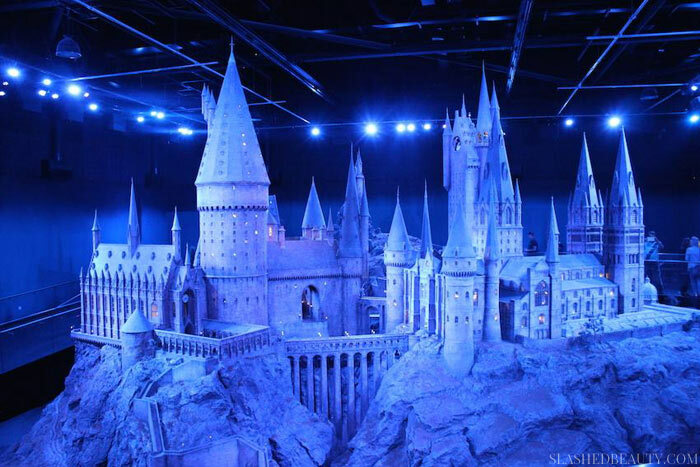 Studio Tour London (The Making of Harry Potter) | It’s important to note that the studio is actually not in London, but in Leavesden about 20 miles northwest of the city. You can absolutely take public transportation to Watford Junction train station, which will probably take you about an hour to an hour and a half from London. There is then a shuttle costing £2.50 to the studio. This station is in Zone 9, so you’ll have to be mindful of that depending on what type of transportation tickets you’ve purchased. You can always purchase single-ride tickets for this particular activity. When booking for the studio tour, you must do so several weeks in advance. Tickets give you a specific day and time to enter, so purchasing your tickets as soon as possible is advised so that they don’t sell out for the day you want to visit. You can buy your tickets from the Warner Bros. Studio Tour website, However we ended up booking our tickets through Golden Tours. This was mainly because we were trying to book so late that the Studio’s website said they were sold out for the entirety of our trip. However, Golden Tours still had tickets available that included admission as well as a direct bus ride from Central London to the studio in a double-decker bus. It cost us an extra 30 pounds, but it saved our butts from missing out entirely as the studio had no more tickets to offer, plus the bus ride made it very convenient. My advice? Book early to save money! 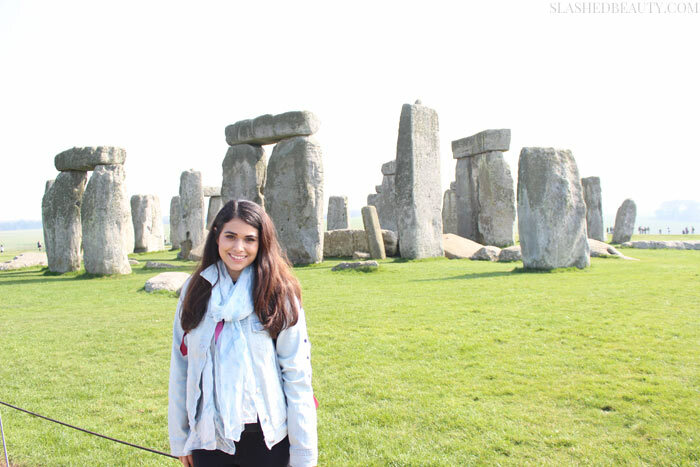 Stonehenge Tour | Another popular attraction that’s not actually in London! You’ll have to either use public transportation to the Salisbury train station, or book a tour bus which can pick you up at your hotel. With a direct bus ride, tours start at about £45 for Stonehenge-only. This also gives you access to an audio guide during your visit around the site and center. Many tours will also offer a stop in the town of Bath for an additional 20 or so pounds, however many reviews reported that the stop is not long enough to see much. The Stonehenge visitor center also has a great cafe with affordable lunch foods and snacks, so don’t feel pressured to pack snacks. Shaka Zulu in Camden Town | African fusion food… really neat atmosphere. Think: upscale Rainforest Cafe. Boulevard Brasserie in Covent Garden | Delicious French food with everything from seafood to steak to pastries. Azzurro Italian Bar and Kitchen (2 Locations in London) | Amazing Italian cuisine. Literally the best pasta ever, in my opinion. We recommend the carbonara or lasagna. Delicioso!!!! 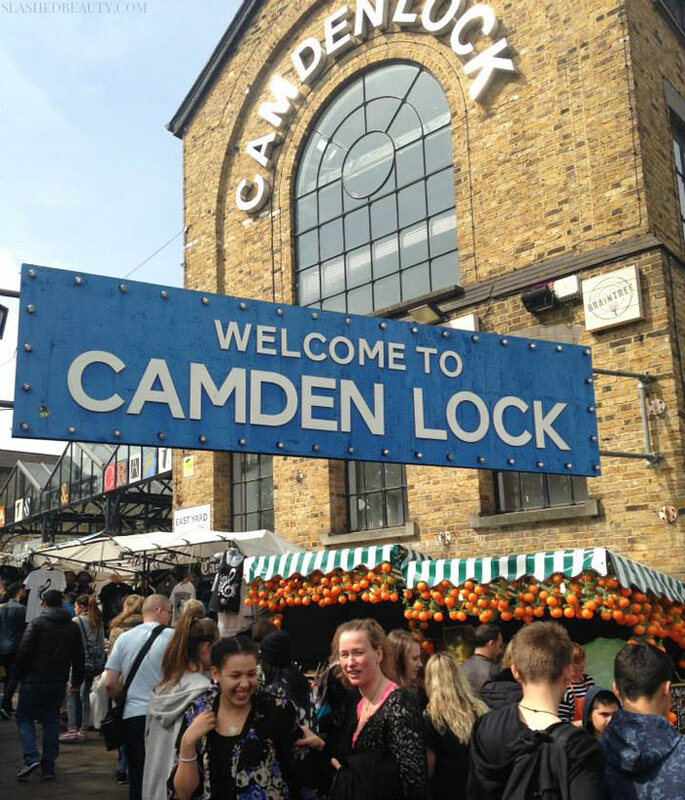 We also enjoyed eating at Camden Lock in Camden Town. This is a street market very reminiscent of a boardwalk atmosphere. They have a ton of little hole-in-the-wall eateries with great ethnic food. The dishes were about six pounds per plate with cuisine ranging from Thai, Chinese, to Italian. You’ll also find all your cheap souvenirs here. However, you’ll want to stick to visiting in the daytime, as the area becomes a little sketchy at night. Another general tip is to avoid hotel restaurants for meals. They are way overpriced for mediocre food. For breakfasts, we found a small coffee shop on Gloucester Road called Caffee Forum which we ended up eating breakfast in almost every day of our trip. If you find something you like, don’t feel pressured to try as many different restaurants as possible. Especially for breakfast, where the Traditional English Breakfast will be about the same everywhere. We ended up having the time of our lives in London, still being my favorite trip we’ve taken together. Even on a budget, we had jam-packed days and spent very little over the initial cost of flight and hotel fare. You may even be able to save more than we did during off-season travel time or on a different airline. 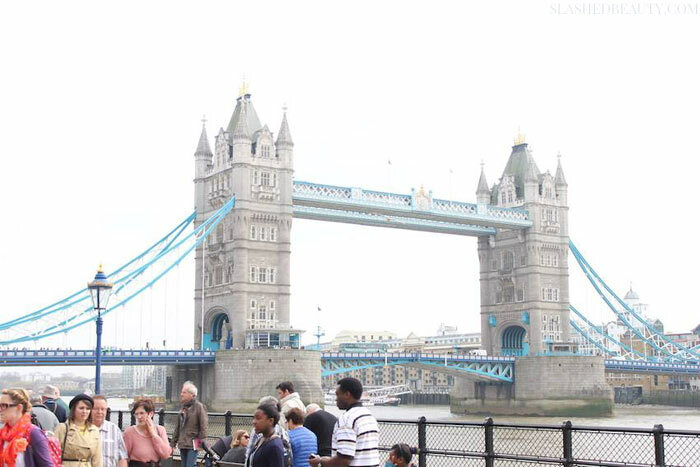 Have you ever visited London before? What was your favorite part? Last year I’ve been to London with my boyfriend and we booked a perfect hotel just next to Camden. We found it at topdeals4travel and can recommend, lots of good deals! 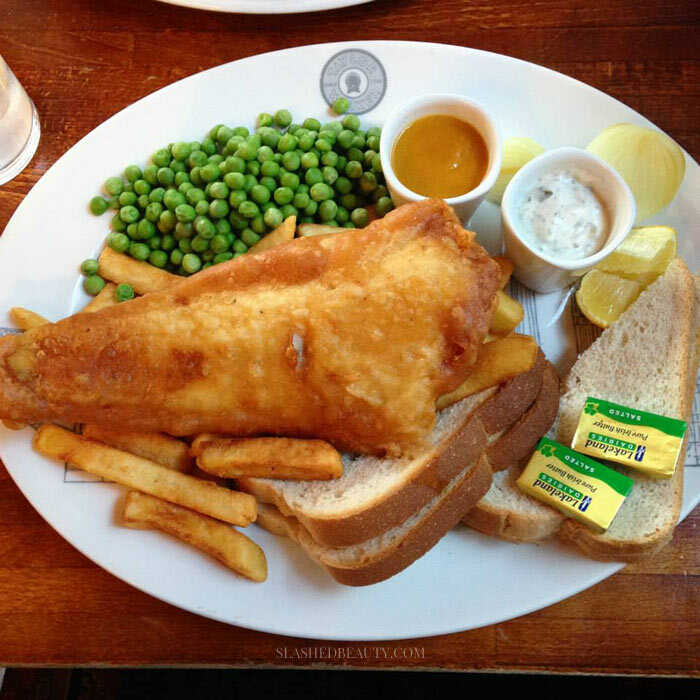 I studied abroad in London a few years ago, this post makes me miss it so much! That must have been AMAZING! Writing the post made me want to go back ASAP!